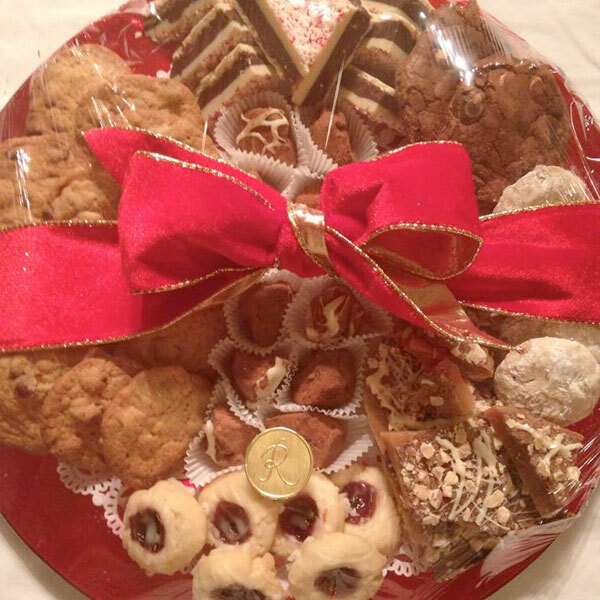 Available in November and December, we hand-make cookies and favorite holiday candies. 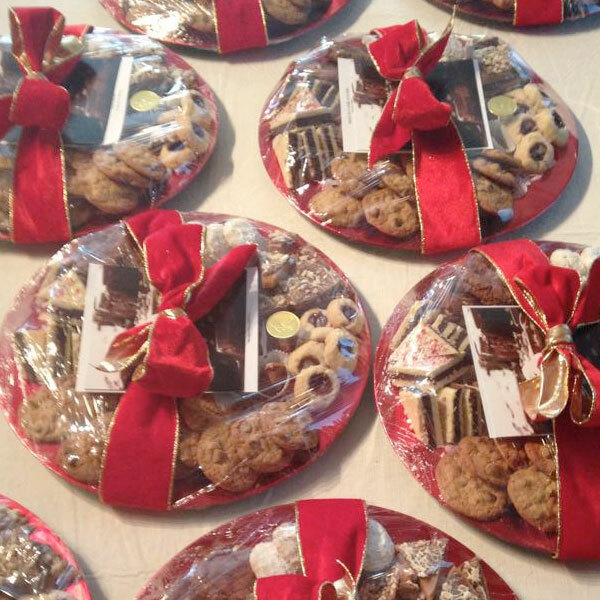 We package them on beautiful chargers or in plaid holiday tins for shipping, and add elegant bows and gift tags. 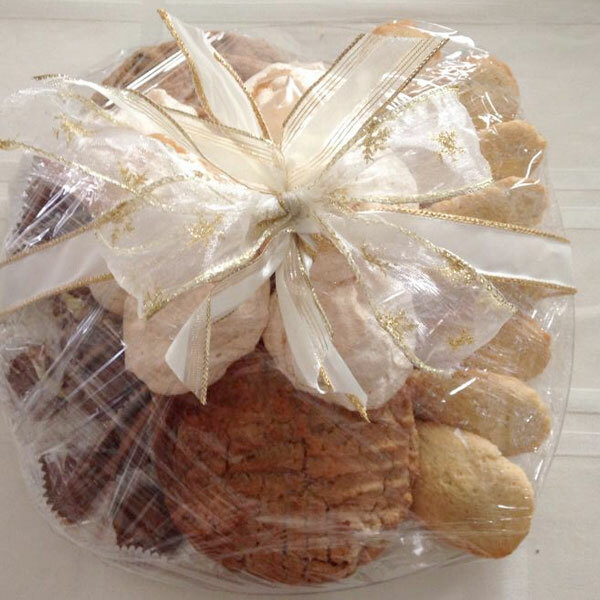 We can deliver gifts to you, your clients, or ship for you. All prices are per dozen unless otherwise indicated. Want to add your family recipe? We’ll make it for you and tuck it right into the gift. Logos/photos: we can add edible images of your logo or photos. Call for information. Did we miss something? If there’s something else you’d like from our website that you don’t see here, please call for information. *Delivery is free within the San Fernando Valley. Call for delivery fees to other areas or for shipping costs. Fill out the attached order form. Scan and send it an email to [email protected] We’ll call you for your credit card information. Call us, especially if you don’t know quite what to order for whom. We’ll work with you and send you a confirmation email. If you’re in the neighborhood, come into the bakery. We always have samples and we can customize whatever you’d like to ship.